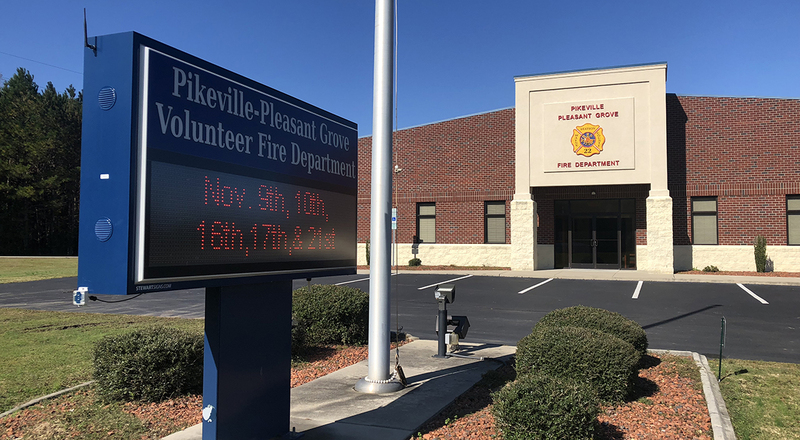 The Pikeville-Pleasant Grove Volunteer Fire Department is an all-volunteer fire department serving the town and surrounding unincorporated areas. The department uses the Wayne County E-911 system for emergency calls; the department’s volunteers have been trained and equipped to provide first response service to the community. The department is funded through county taxes, contributions from the town budget, and public donations from fund raisers. The town has an ISO Rating of 6. If you are attempting to get a fire report, please contact the fire department directly. Personnel in the town hall do not have the information you need and will direct you to the fire department. Below is the location of the Pikeville-Pleasant Grove Fire Department and the number for the fire chief.